Tim Magner works to integrate food education with fun through Chicago-based programs such as Nature’s Farm Camp. He reports that the longterm decline in the quality and nutrition in school food is being reversed, in sync with the rise of the Good Food movement. More school gardens, more cooking classes, more efforts by many administrators to find healthier choices for students. In his article below, Tim describes the positive impact that is having for our nation’s schoolchildren and our food system in general. 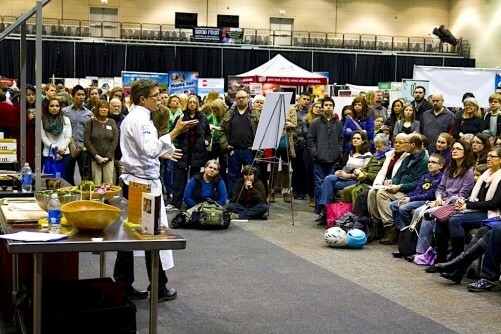 Tim and Nature’s Farm Camp will be a return participant at FamilyFarmed’s family-friendly Good Food Festival on Saturday, March 18 at Chicago’s UIC Forum (which for the first time has free admission!). To learn more or to register in advance, please visit the event website by clicking here. You can also get information there about the ticketed events of the three-day Good Food Festival & Conference: the Good Food Financing & Innovation Conference on Thursday, March 16; the Good Food Trade Show & Policy Conference on Friday, March 17; and the Urban Farm Bus Tour on the morning of Saturday, March 18. “We don’t have time to consider food. We need to stay focused on educating these kids,” said the principal of a Chicago Public High School. At the time, his students were eating Cheetos and Coke for breakfast. A different time, an elementary school administrator told me, “Oh, yes, you’ll eat lunch with the students, but we won’t make you eat the cafeteria food.” The school catered food in from a nearby restaurant for me. On the way home after school visits, I’d drive past Chicago’s empty factories and busy fast food restaurants, and wonder, “Hyper-processed food, loaded with fat, sugar and salt, is everywhere. Do these kids have a chance?” Their choices were limited and tilted towards filling their bellies with industrially produced empty calories, which lead to negative and expensive health outcomes later on. It turns out, I was overly pessimistic. Nearly a decade later, progress is all around us. 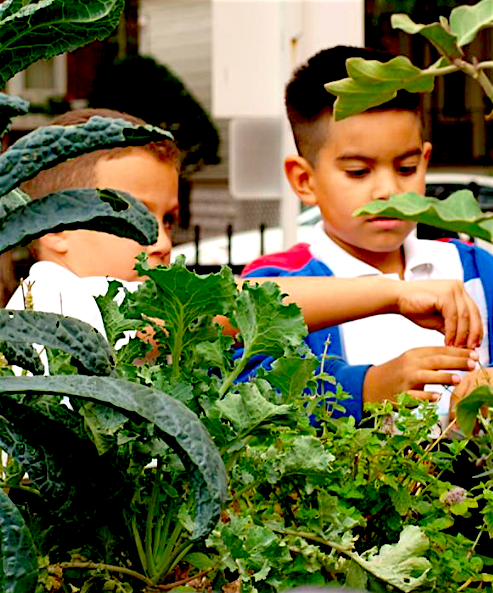 Edible gardens and cooking programs are nearly de facto in Chicago Public Schools. Much of the heavy lifting has been done by non-profits such as The Kitchen Community, Purple Asparagus and Pilot Light, and entrepreneurs such as The Kids’ Table. Education, however, just gets the ball rolling. Illinois is a farm state, but 90 percent of that land is used to grow just four crops: field corn, soy, wheat and hay. These commodities mainly go into two things — cows (more than half of what we grow goes into feed for animals) and cars (ethanol), and some of what’s left is processed into junk food. 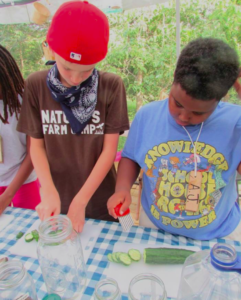 Children gain more knowledge and interest in the food they eat if they have opportunities — such as those provided by Illinois’ Nature’s Farm Camp — to harvest (above) and prepare (below right) the food themselves. Meanwhile, more than 90 percent of the food consumed in Illinois comes from outside the state, meaning consumers’ dollars are going elsewhere instead of being recirculated to build more sustainable local economies. But with demand for local food outstripping supply, farmers are gradually changing what they grow, e.g. more fruit, vegetables, grass-raised meat and dairy, and a renaissance in food-grade grains such as oats and rye. Local food provides families more food choices, and it also creates positive ripple effects. Not only do farms need more employees (and fewer toxins), but the number of food-related businesses, meaning mills, bakeries, processors, preservers, even maltsters and distillers, is growing for the first time in a century. Rather than a long and narrow food chain, we’re building networks, with an increase in local economic activity. Consider: an acre of feed corn yields about $700, while growing food (grain, veggie or fruit) yields $1,500 to $25,000 per acre. The corn goes to a feedlot, ethanol facility or abroad (and the money leaves the state). Local food produced for human consumption goes to the miller or canner or butcher or direct to the consumer (and the money stays here). So a regionally based food system is as much about fixing the economy as it is about better health. What does this mean for kids? Through hands-on education in school, kids are learning about food and healthy choices in school. Even if their choices still remain limited, there’s good news on the horizon. And many kids are so enthused by better, healthier, tastier food they have learned about and eaten that they take these lessons home to their parents! 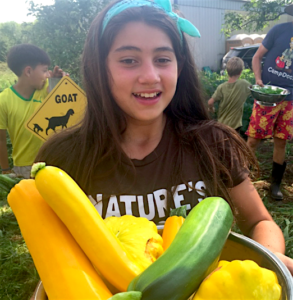 To date, only a few, mostly private, schools have instituted food programs that focus on nutrition, sustainability and local sourcing (notably by school food service providers Gourmet Gorilla and HandCut Foods). There are two reasons to believe the future looks bright. Food-minded entrepreneurs and innovators are just beginning to make headway into school districts. For example, FarmLogix is ramping up the scale of local food cooked and served in public schools. Gourmet Gorilla is on the steering committee of an upcoming food summit with school food service managers from New York to Los Angeles who are re-thinking and re-making school food. The U.S. Department of Agriculture is there to listen and to provide constructive feedback, and that’s critical. 2) Good Food unites us. People are supporting local food, farmers are responding to demand, and entrepreneurs are innovating, but the playing field is still tilted away from choices that benefit us and our communities. To get to a tipping point where doing good is the rule, the rules of the game must change. Don’t be depressed. You may think the nation is polarized, but that’s not true. Existing policy around food supports neither conservative nor liberal ideology. 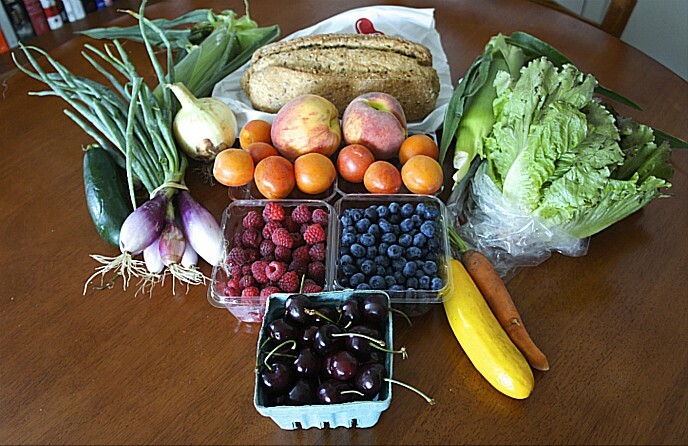 Local food brings us together — as it distributes power and allows democracy to flourish. Go visit your elected officials and talk with them about food (and proposed legislation… there are things that get done in Springfield!). You don’t have to do it because you’re an eater who wants a stronger economy, better health or more choice. Do it because you’re a citizen who cares about kids and getting to a tipping point where Good Food is on every table. See you on Saturday, March 18 at FamilyFarmed’s Good Food Festival. Be sure to stop by the Kids Arena, run by Purple Asparagus. This entry was posted in Child nutrition and health, Farm to school movement, Food and health, Food education, Good Food Festivals, Healthy eating for children, School gardens, Sustainable food education and tagged early childhood Good Food education, family-friendly Good Food events, FamilyFarmed, FarmLogix, Food education, Good Food Festival, Good Food Festival & Conference, Good Food Financing &Innovation Conference, Good Food Trade Show & Policy Conference, Gorilla Gourmet, HandCut Foods, Nature's Farm Camp, Pilot Light, Purple Asparagus, The Kids' Table, The Kitchen Community, U.S. Department of Agriculture, Urban Farm Bus Tour. Bookmark the permalink.